Breakfast happens to be my favorite meal of the day, but on most days I happen to wake up way later. 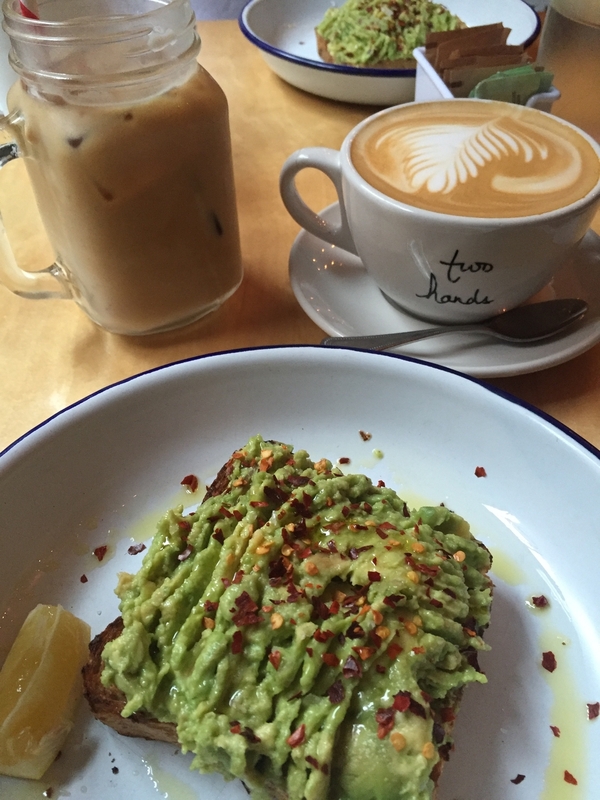 Whether it's meeting a group of friends, going with my family or grabbing food for one, these are some my favorite spots for breakfast, lunch and of course brunch. Happy Eating! Situated in the basement of the Jewish Museum on 1109 5th Ave (between E 92 and Fifth Ave) the old fashioned restaurant houses enough tables for 70 and a to go counter that puts any Jewish mother to shame. I shocked my parents a few months ago when at 23 years old I finally tried lox and loved it. No judgments though it’s not for everyone. Since discovering the love I have for lox I have crossed off my wishlist one bagel and schmear at a time. No joke, this was my third time trying to eat at Russ and Daughters. You know what they say, if you don’t succeed then try again. Russ & Daughters’ lox did hold up. The over hour wait was a bit annoying on this cold NY day, but myself and two friends have been wanting to try it. 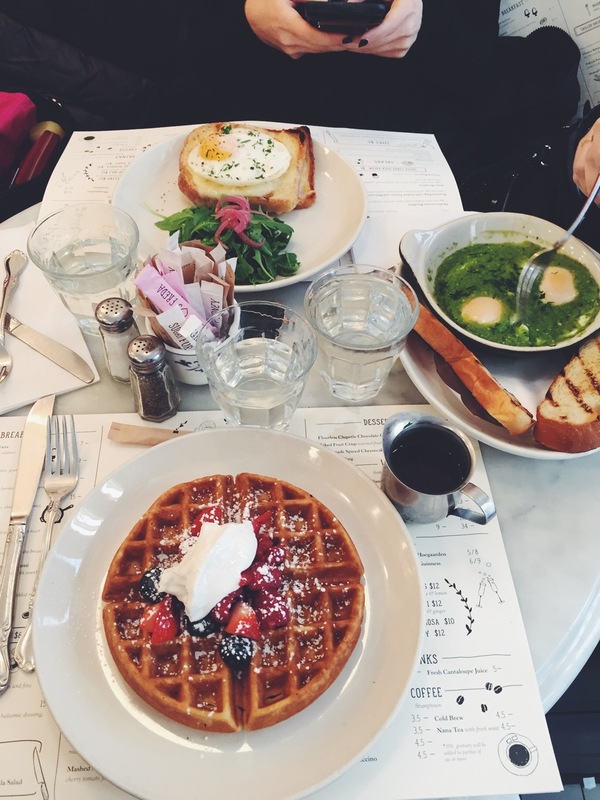 Located on Lafayette St. the great food spot is in the heart of Soho. My advice is put your name down before you go shopping. The small restaurant is pretty tiny. If you are going with a big group definitely check out their other location on 50 Carmine Street. I ordered the Rosewater Waffle topped with Lebanese yogurt and mixed berries (so good). A fun place to try new things and take insta worthy pictures, be sure to check out the phrases on the sugar packets. Despite the downpour on my way here the experience was definitely memorable. The quaint restaurant is located next to Little Italy. The menu contains small bites such as avocado toast, granola, fruit and yogurt bowls and eggs any style. The small cafe was filled with people reading, working away on their computers, friends sitting back and chatting for hours and of course people like me snapping away trying to get a perfect image for Instagram. Two Hands is the perfect place to hang out, to stay warm or to cool off. The coffee was almost too pretty to drink. While they are expanding their menu, they are also opening new doors . Next on our wishlist is their new location on Church Street.